At the request of tobacco scientists, the French Tobacco Monopoly (SEITA) organises in Paris the first International Scientific Tobacco Congress, in September 1955. The delegates from 24 nations participating in this Congress unanimously express solemn resolutions aimed at cooperation and standardisation, and their wish to constitute a permanent structure to put into effect these resolutions, provided that at least 10 organisations from at least five nations confirm adhesion. 1956 - Representatives from the same 24 organisations in 18 countries meet in Paris on 23 April, and officially create, name and structure CORESTA as an Association, with a Board, a Scientific Commission and a General Secretariat. 1959 - A specific Smoke Study Group is set up. 1966 - The scientific work is structured into four Study Groups: Agronomy, Phytopathology, Smoke and Technology. 1991 - The number of Member Organisations reaches 184 and remains around this level until membership restructuring in 2012. 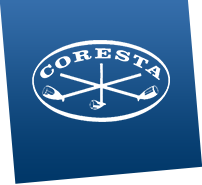 2001 - After 45 years within SEITA, which provided both office space and a Secretary General, CORESTA becomes fully independent and moves to its current address. 2002 - The Smoke and Technology Study Groups are renamed Smoke Science and Product Technology Study Groups. 2006 - CORESTA celebrates its 50th Anniversary at the Paris Congress. 2012 - The Agronomy and Phytopathology Study Groups are renamed Agronomy & Leaf Integrity and Phytopathology & Genetics Study Groups and their Sub-Groups and Task Forces redistributed. 2012/13 - A new membership structure is approved and implemented that sees Member Organisations classed as either Independents or Groups with Sub-Member Organisations. The number of Member Organisations is subsequently reduced. CORESTA was founded on resolutions clearly stating "that a close, concrete and permanent cooperation be achieved between the various sectors of study concerning tobacco" and "that the reference systems be unified [and] analytic methods standardised". This bound the core spirit of the Association. Today, CORESTA maintains its founders' goals: to respond and resolve the non-competitive issues associated with tobacco production, product manufacture and use. The 24 founder organisations were mainly State Monopolies and Government Institutes or Services. Today's members are now largely diversified. Privatisations and global mergers have changed the picture on the manufacturing side; chemicals, papers and filters suppliers have joined CORESTA, as well as growers and providers of control and production equipment or services. Moreover, in recent years, a number of independent and government laboratories and even consumers associations have become members. Altogether, they share knowledge, experience, cooperate in collaborative studies, supplying components, equipment and resources to produce CORESTA Recommended Methods (many of which have become ISO Standards), Guides, Technical Reports, or any form of document made publicly available and presented at CORESTA gatherings, then posted on the website. With the increasing regulatory requirements, the scientific work and outputs of CORESTA have become a worldwide reference when tobacco is at stake. For more historical information, please see the brochure published for the 50th anniversary of CORESTA, celebrated at the 2006 Congress in Paris. The Guide for Good Agricultural Practices (GAP) for tobacco and the setting of Guidance Residue Limits (GRLs) for crop protection agents. GRLs have become a worldwide reference for the leaf growers and buyers. A series of Guides published by various Groups, designed as pedagogic tools that proved efficient and reliable, as reported in conferences and workshops. The Infestation Control Conference (ICC), a yearly training seminar conducted around the world since 2001. 36 ISO Standards which have been adapted from the CORESTA Recommend Methods collaborative work. Numerous Technical Reports on all aspects of tobacco growth and use. The setting of a common porosity measurement CORESTA unit (CU) used as a specification item for all papers in the tobacco industry. The definition and production of Monitor Test Pieces and Reference Products for collaborative studies and proficiency tests. The collection and sharing of worldwide information on Blue Mould. The collection of experience and practices for Integrated Pest Management (IPM).